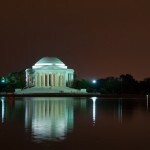 You may know the Thomas Jefferson Memorial from the many iconic photos of Washington, D.C. during cherry blossom season; it’s the monument that sits right on the Tidal Basin, surrounded by thousands of Yoshino cherry trees. Sure, the views from the memorial are stunning, but take a moment to ponder the man it commemorates: third U.S. president, drafter of the Declaration of Independence, founder of the University of Virginia. 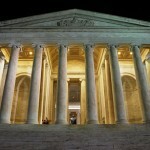 Modeled on Rome’s Pantheon, designed by John Russell Pope and dedicated in 1943, the memorial sparked controversy when it opened because it resulted in the removal of a swath of Washington’s beloved cherry trees. 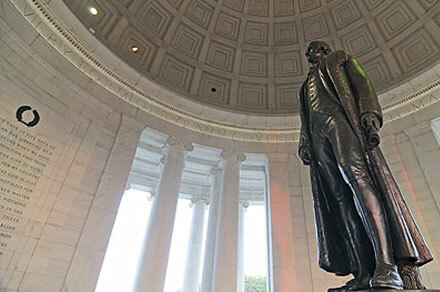 The 19-foot tall, five ton bronze statue of Jefferson in the center of the building looks toward the White House. Due to metal shortages during World War II, the statue was added four years after the memorial’s dedication. 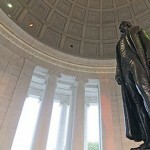 Five quotations from Jefferson’s writings line the inside of the memorial, including excerpts from the Declaration of Independence. Underneath the memorial, you’ll find a small museum and bookstore. 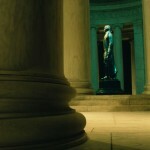 The memorial at night provides one of Washington, D.C.’s best photo ops. You’ll want to capture the building’s colonnaded reflection off the Tidal Basin and, of course, if it’s cherry blossom season, you’ll have great shots galore. Spring travelers might also want to catch sunrise services held here Easter morning — an event few native Washingtonians know about. 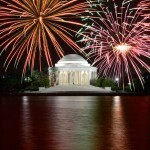 For a waterside view of Mr. Jefferson, try paddle boating on the Tidal Basin in spring and summer (visit www.tidalbasinpeddleboats.com). Hours: 24 hours a day, every day of the year. National Park Service rangers are on duty to answer questions from 9:30 a.m. to 11:30 p.m. daily. Metrorail: Orange and Blue Line stops for Smithsonian are closest to the memorial, but its a good walk from the station. 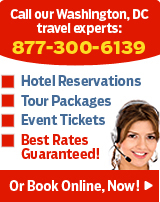 We did Limousine tour of major attractions by DCStretch.com. We had so much fun. Driver took us around in nice hummer limousine to all major spots. Now that’s what I call sightseeing.